Don't Let Currency Fluctuation Disrupt Business. Take 30 minutes to Know & Hedge. Professional currency hedging enables our business to focus on international growth. We can perform- regardless whats happening with the foreign exchange rates . HedgeWiz offers financial managers a simple- yet comprehensive- solution for identifying and mitigating currency exposures. Our advanced financial and technology team makes it easy for CFOs, treasurers and other business leaders to identify currency risks, adopt a hedging policy and execute that hedging policy seamlessly. The HedgeWiz solution is robust enough to serve the most advanced financial leaders and intuitive enough for newer business managers to use easily. Our professional support team works with clients to help them understand and manage their currency exposures so they can focus on their business. See where your organization has currency exposures for reporting and risk-mitigation. Understand what are the relevant hedging options that limit exposure and business disruption. 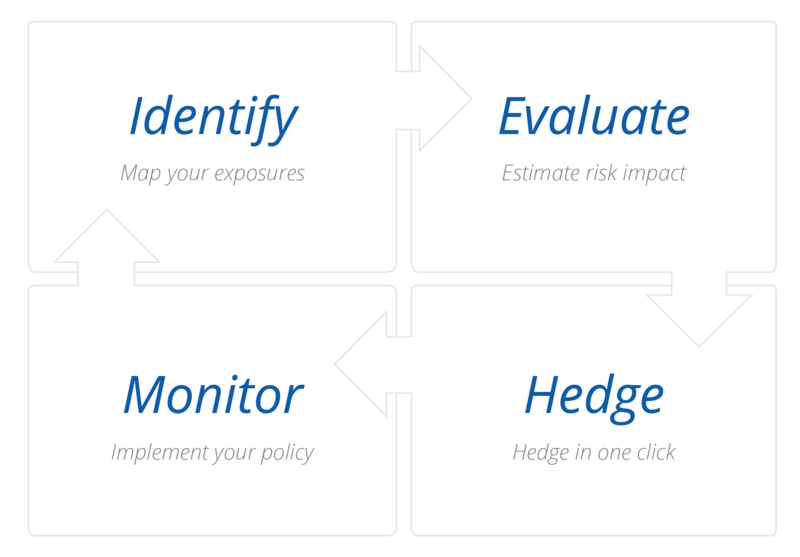 Neutralize risks according to your pre-determined hedging policy through your preferred bank or broker. These partners rely on HedgeWiz technology to identify and neutralize foreign currency risk.